"A Board with History and Accomplishments"
Dan has been a BG member for 12 years and Membership Chair for 7 years. Dan recently retired after a career in the credit union auto loan arena. Dan also serves on the Marketing Committee. Dan is the Acting Program Chair and also serves on the Marketing Committee and Project Mister Student Committee. Dan and his wife Sojn enjoy being at their second home in the Cle Elum Eastern Wa area as much as possible to hike the beautiful woods and mountains, ride atv quads and golf in the summer, and cross country ski & snow shoe in the winter. Dan volunteers stocking food shelves at the Kirkland Hopelink Food Bank, washing dishes at the Bothell Senior Center, and being a judge for state and national competitions for LifeSmarts, which is an educational tool for high school students that teaches the consumer literacy skills needed by students to succeed in today’s marketplace. Dan is also a Community Accountability Board (CAB) member for the King County Superior Court Youth Juvenile Justice Diversion Program. In his CAB role, Dan works to increase the juvenile’s awareness of the relationship between the criminal offense committed and the people harmed by the juvenile’s actions, provides restitution remedies to victims of the youth’s offense, provides accountability for the juvenile’s behavior, and impresses upon the youth and his family that the community is concerned with his/her conduct in facilitating a resolution of the presenting problem. Dr. James B. Smith retired in 2003 after 35 years as a high level executive for Allstate Insurance Company. Although Dr. Smith had a BS in Business Administration, an MBA in Business Administration with emphasis in Management/ Leadership, and a PhD in Business Administration with an emphasis in Leadership and Corporate Strategic planning, upon retiring he returned to graduate school (Antioch University) and obtained his K-8 Teaching credentials. Dr. Smith has been a substitute elementary school teacher for the Auburn School District, a hearing officer for the district and a professional development consultant for the Auburn School district’s teachers in the areas of diversity, multicultural education, cultural competency, and children at-risk and an education consultant. Dr. Smith has served on the Equity Committee for the State Board of Education; and on the Bias and Fairness Review teams in several content areas for the Office of the Superintendent of Public Instructions. He is currently a member of the Black Education Strategy Roundtable Executive Committee; Chair of the Seattle Breakfast Group Education Committee (recipient of the 2007 Member of the Year Award); member of the Leaders of Communities of Color for Education Excellent; Board member of CEER (Coalition of Equal Education Rights. He was a member of the SHB 2722 legislative Advisory Committee charged with developing teaching strategies and best practices for narrowing the achievement gap for African American students (appointed by Lt. Governor Brad Owens); a member of the Washington Education Association’s team that worked on developing strategies for recruiting and retaining diverse teachers throughout the state; and a participant on the Higher Education Commission’s Committee on Teacher Preparation. Dr. Smith was appointed to the Professional Education Standards Board’s Cultural Competency Standards Work Group that was created as a result of SB 5973 and SB2261, to develop Cultural Competency Standards for all teachers throughout the state of Washington, as well as, the PESB Work group that developed the protocols for the Universities’ Superintendent Leadership Programs throughout the state. Dr. Smith is the chairman of the Seattle Breakfast Group’s Education Committee and represents the organization on the Excellent Schools Now Coalition; the Our Seattle Schools Coalition; and the Black Policy Foundation. He was also a member of the Office of the Superintendent of Public Instructions’ Dream Team. In addition, he participated as part of the committee that developed the administrative rules associated with the Civil Rights bill HB 3026 regarding discrimination in education. Dr. Smith currently serves as an alternate on the Washington State’s Education Opportunity Gap Oversight and Accountability Committee; functions as a member of the OSPI Data Governance Committee; is a consultant for the Seattle School District’s Race and Equity Superintendent Advisory Committee and is on the Governing Board of the Equity in Education Coalition. He was recently appointed to the Student Discipline Task Force that was created by legislative enacted SB 5946. In addition, he was recently appointed to the Seattle School District’s Increasing Academic Achievement for African American Male Scholars Think Tank and will be participating on an advisory team that will work with the UW’S Seattle Minority Engagement and Disproportionality Reduction (MENDR) Research Collaborative. Dr. Smith was honored last year by the Seattle Central Area Chamber of Commerce as one of the six African American Men who have done extra ordinary things on behalf of the African American Community. He was also awarded the Ambassador for Peace recognition by the International Ambassadors for Peace Organization. Dr. Smith was previously recognized in Who’s Who in Finance and Industry (Twenty Third Edition), Personalities of the West and Midwest (Eighth Edition), Distinguished Business and Community Service Leaders (Third Edition), and Who’s Who Global Business Leaders (1993/1994). 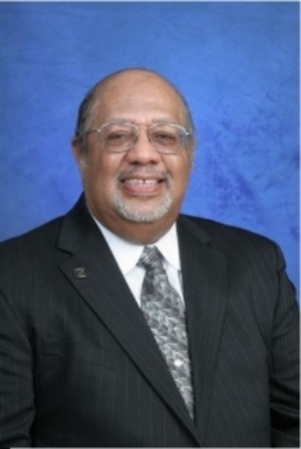 Ernie Dunston is an active community volunteer, with a strong interest in programs designed to assist youth and promote economic development in the African-American community. He is a charter member and Immediate Past President of the Board of The Breakfast Group. He is also a long-serving Board member for the local Boys and Girls Clubs, as well as being a recipient of Boys Clubs of America “Man and Boy Award” – the highest honor awarded by that organization. Early in his professional career, Ernie was selected as one of the “Forty Newsmakers of Tomorrow” by the Seattle Chamber of Commerce. Recent awards include: 1) Distinguished Alumni of Seattle University; 2) Charles Odegaard Award for Community Service from the University of Washington; 3) The Nordstrom Community Service Award; 4) Spingarn (D.C) High School Hall of Honor. Amani Y. Harris is Second Vice President, Portfolio Manager and Financial Advisor with a leading investment firm in Seattle. He has always asked questions in a continuous quest for potential solutions to help navigate a complex market. This approach means reviewing the history of the markets and items such as: Relative Strength, Modern Portfolio Theory, Benjamin Graham’s strategies, Charles Dow and Hamilton’s theories, dynamic, tactical and strategic asset allocation and much more. Amani began his career in the financial services industry in 2002 after he earned his Master of Business Administration (MBA) degree from Seattle Pacific University. Amani also graduated from Cameron University with a Bachelor of Accounting and the University ROTC Leadership Program. Amani was selected and served in the role of a Commissioned US Army Officer (1LT). He spent 10 years serving in leadership and operational roles such as Platoon Leader and Assistant Operations Officer. The years of selfless service provided a focus on discipline, contingency planning, risk management, structure and process management. For example, he managed a team of over 60 people and $14 Million of equipment and in his Assistant Operations Officer role provided planning for a unit of over 700 people. Amani actively supports local charities and is a board member of several organizations that focus on inspiring youth in education. His core values are compassion, honesty, integrity, learning, determination. Amani’s hobbies are golf, skiing, chess and enjoying the relationships with family & friends. Bob Luciano is a Senior Vice President with over 22 years of bank experience with Bank of America. Bob has worked in various capacities in both retail and commercial banking operations. He is currently a Senior Client Manager for the Global Commercial Bank. Bob holds a Bachelors of Arts Degree in Business Economics from Seattle University. He has been active in the community for many years. He currently serves as a Board Member and instructor for the CHOICES Educational group, Board Member and Treasurer for the Breakfast Group, and is on the Board of Directors for Leadership Tomorrow. Bob is married with two sons and enjoys spending time with his family and volunteering in the community. Gary joined Oppenheimer & Co. Inc. in 2009 after 11 years with Smith Barney. He also spent 25 years in the banking industry serving in management roles, in both the retail and commercial banking sides. He is a graduate of the University of Washington and the Pacific Coast Banking School. He also holds his security and insurance licenses. He currently serves on The Board of the following organizations: Pacific Northwest Bankers Association, the Legal Foundation of Washington, Community Capital Development and The Breakfast Group. Gary’s family is very important to him. He values spending much of his free time with his children and other family members. He also enjoys competitive sports such as tennis and golf. Bob is the retired President and CEO of the Seattle Metropolitan Credit Union. He retired in 2011 after 20 years with the credit union. He has worked in management positions in California with Bank of America, Wells Fargo Bank and the Lockheed Federal Credit Union. Prior to beginning his 40 year banking career, Bob was an officer in the U.S. Marine Corps. Born and raised in Boston, he spent many years in Southern California before moving to Seattle. He holds a BA in Mathematics and a MBA in Banking. He was awarded the distinction of CEO of the year by the Credit Union Executives Society in 2003. He is married and has adult children living in California, as well as adult step children living in the Puget Sound area. His grandchildren now number nine. Bob serves as a Trustee on the City of Seattle Pension Board and serves as a fully certified Reserve Police Officer with the Seattle Police Department. Many Friday nights you’ll find him on patrol around Seattle. He has been assigned to SPD’s Gang Unit for over 10 years. His hobbies include motorcycling, bicycling, vintage cars, movies and traveling. His favorite post retirement endeavor is playing a tenor drum for The Seattle Police Department’s Pipe and Drum band. Charles Mitchell worked with Seattle Community Colleges for more than 25 years including periods as President of Seattle Central Community College and Chancellor of the Seattle Community College System. Mitchell was born in Seattle in 1940 and is the product of the city's education system. He attended T.T. Minor Elementary School, Meany Junior High, and Garfield High School. He also earned a bachelor's degree from the University of Washington (UW), a master's degree from Seattle University, and a doctorate in education from Brigham Young University. During his years at the University of Washington, Mitchell played football with the UW Huskies and was a member of the winning 1961 Rose Bowl team. He was inducted into the Husky Football Hall of Fame in 1992. After graduation from the UW, he played professional football for six years with the Denver Broncos and Buffalo Bills. After earning advanced degrees from Seattle University and Brigham Young University, Mitchell worked briefly for the Governor of Colorado and later for King County Executive John Spellman. In 1987 Mitchell was named President of Seattle Central Community College. He held the post until 2003. Under his leadership as President of Seattle Central Mitchell oversaw the expansion of enrollment. He also encouraged programs and initiatives that brought in more students of color and students of immigrant backgrounds. His work was recognized by Time magazine which named Seattle Central "College of the Year" in 2001-2002. In 2003 Mitchell was named Chancellor of the Seattle Community Colleges and held the post until 2008. While there he administered four campus and six specialized training centers with a total enrollment of more than 55,000 students. After completing five years as leader of Washington State’s largest two-year college district, he was named to lead the Power & Promise multi-year fund-raising campaign for the community college system. Mitchell has received numerous awards recognizing his educational and community achievements. They include an honorary Ph.D. from Seattle University (2008), the Charles E. Odegaard Award from the University of Washington (2006), and induction into the Pacific Northwest Chapter of the African-American Ethnic Sports Hall of Fame in 2005. In 2002 he was “Father of the Year” from the American Diabetes Association. In 2001 he won the Shirley B. Gordon Award of Distinction from the Phi Theta Kappa Honorary Society. Mitchell is also a University of Washington “Husky Legend” and has been honored with a UW Minority Affairs Program Alumnus Award. His work to promote the advancement of minority students in higher education was recognized with the Equity Award from the Trustees Association of Washington Community Colleges. Paul began his career with Boeing Corporation as a material buyer and military aircraft parts procurement specialist.. His retail career spanned a 40 year period and includes management and purchasing positions with JC Penney, The Bon Marche/Macy's. As a Men/ Boys Clothing Buyer he travelled the world procuring men clothing from suppliers and managed a 5-10 million dollar purchasing budget. His current affiliations and responsibilities include; Roots Picnic Co-Chair, Board of Downtown Association, Nofthwest Black Pioneer Co-founder and Coordinator of the Northwest Pioneer Exhibit and community events, Downtown YMCA Board of Directors, Medina's/Amara Children Adoption Agency Board of Directors, Breakfast Club Co-founder, Alpha Phi Alpha Fraternity Inc. Member. Awards: Excellence in Education Award The Measure of a Black Father Award Seattle African American Community Award Role Model Award Black Achievers Award Washington State University Multicultural Student Service Award Abe Keller Community Service Award Pacific Northwest Football Hall of FAME Award, and The Medina Children's Service Outstanding Community Service Award. Paul holds a Bachelor's Degree in Education from Idaho State University. Dr. German enjoyed an extraordinary career with the Seattle Public Schools for 26 years, including a position as Principal of Middle College High School for 14 years. He also served as; Principal – South Shore Middle School for 5 years, Assistant Principal for 7 years, and 2 years in the Renton School District. Prior to his professional career in Seattle he worked as an instructor and curriculum consultant for the San Diego Unified School District and the San Mateo Unified School District. His work in the private sector includes time served working as an Industrial Engineer for The Boeing Aircraft Company. Dr. German also served in the U.S. Navy Submarine Service. (M.S. Secondary Administration/Supervision), California State University Long Beach (B.A. Education/Industrial Arts). In addition to his service on the Board of The Breakfast Group, He serves on the Boards of; Odessa Brown Children’s Clinic; Southeast Youth and Family Services, and The Simon Youth Foundation. “Highly respected”, “extremely versatile” and “tremendously effective” is how many describe Nathaniel “Nate” Miles, Vice President for Strategic Initiatives for Eli Lilly and Company. For more than 30 years, Nate has been a major force in the national healthcare, community and non-profit sectors. He has been called upon time and again to serve his community, state and country. He is recognized by local and national leaders, elected officials and advocates as a powerful agent of change and reliable voice of reason. In addition to his leadership in the business community, Nate has spent nearly thirty years building coalitions among some of the most diverse populations to support public policy initiatives and affect change. Nate is Vice President for Strategic Initiatives for Eli Lilly and Company, one of the nation’s top pharmaceutical firms. Nate leads concept, development and flawless implementation of innovative and highly effective strategic initiatives, to generate sound public policy and brand support from traditional and non-traditional allies such as grassroots organizations, Faith based organizations, Communities of Color, labor organizations, civil rights/social justice and non-governmental organizations. He’s breaking new ground for 21st century partnerships to further innovation in healthcare and business development for a global marketplace. As a Director for State Government Affairs for Lilly between 1994 and 2011, Nate was and continues to be responsible for state government relations, public affairs and external relations activities in his multi-state region. In that role his team oversees the public payor market, which at it’s peak, was in excess of $100 million annual revenues. Nate began his career as a Marketing Executive for KIRO Broadcasting in Seattle (CBS Affiliate) where his ability to develop award-winning media/marketing campaigns and client relations, earned him high praise and recognition throughout the industry. In the 1980s, one of Washington’s most powerful political leaders hand-picked Nate to be his Chief Legislative Aide. Here, Nate helped shape and direct many strategic policy initiatives for Washington Senate Majority Caucus Chair George Fleming. He gained bi-partisan respect and commendations for his role in creating international trade legislation that helped move Washington products into foreign markets and led the effort to structure groundbreaking economic development initiatives that helped revitalize Seattle’s Central Area Core Business District. Returning to the private sector, Nate joined the Senior Management Team at the Washington State Convention and Trade Center (WSCTC). His efforts in government affairs, community outreach, facilities operations, retail development, labor negotiations and branding development were pivotal to securing $125 million dollars for the facility expansion. Nate was called upon by then-President Bill Clinton, to join prominent business leaders from around the country as a White House Conferee on International Trade. Nate, along with the others, advised the President on the development and implementation of landmark foreign trade policy. Locally Nate stepped up to the plate to join an elite “Blue Ribbon Commission” of concerned civic leaders, who crafted the landmark, multi million dollar, long range restructuring plan to save local parks. He was a central figure in creating profit-making partnerships with outside businesses, designing attractive re-financing scenarios, and re-shaping the parks management system. Nate has a stellar record or philanthropic involvement, and serves and/or has served on: The Board of Directors of The University of Washington Foundation, The Puget Sound Regional Council - Economic Development Board, Association of Washington Business, Medical Teams International, The Alliance For Education, Islandwood, The Seattle Chinese Nursing Home, Chair of the Board for The Seattle Urban League, and Seattle CityClub. He sits on the NAACP Special Contributions Fund Board of Directors, and The National Action Network Corporate Advisory Committee to name a few. Nate’s work has been recognized on over 300 occasions, receiving a variety of honors and awards including the Edward “Eddie” Carlson Award for Seattle’s Leadership Tomorrow program; “Lifetime Achievement Award” from the Central Area Motivation Program, a “Friends of JACL” (The Japanese American Citizen’s League) Award, and being selected as one of“ 30 Leaders of the Future” by Ebony Magazine. Born and raised in Washington State, he is a distinguished graduate of the University of Washington, who resides in the Seattle area and is a married father of three. Through his more than three decades in public service, Robert Nellams has built a sound reputation for excellence, effective decision-making and resourceful change management. His experience and expertise are well grounded in the areas of accounting, systems analyses, budgeting, human resources, customer service, organizational development and community engagement. Robert, who has served as Director of Seattle Center since his appointment in 2006, holds a firm grasp of both the business and bureaucracy of the City department he heads, focusing on building the capacity of Seattle Center to delight and inspire the human spirit in ways that strengthen communities. During his tenure as Director, Robert has negotiated homes at Seattle Center for many organizations that contribute significantly to the livability and economy of the region through the performing arts, events, family activities and inspiration they provide. He has worked closely on behalf of the City to welcome the WNBA to KeyArena, Chihuly Garden and Glass to the former south Fun Forest area and Seattle International Film Festival, KEXP 90.3 FM, Cornish College of the Arts and PrideFest onto the grounds. Robert is leading Seattle Center into a future that expands open space, engages diverse communities, fosters financial and environmental sustainability and supports thriving resident partners. Laying the groundwork for potential City acquisition and redevelopment of the Memorial Stadium site, he has also worked intently to secure the future of KeyArena, generate new streams of revenue for the Center and create the first free play area at Seattle Center. A native of Seattle and graduate of Franklin High School, Robert holds a Bachelor’s Degree in Accounting from Central Washington University. His work with the City of Seattle began in 1982 in the Department of Administrative Services. Robert joined Seattle Center in 1996 as Director of Patron Services, hired to reinvigorate a number of operating units including Transportation Services, Customer Services, Office Services, Emergency Service and Contracts and Concessions. He was promoted to deputy director after 18 months, where he oversaw Technical Facility Management and Patron Services. Robert served as interim director prior to his appointment as director. Currently, he directs a staff of 240 full-time employees and several hundred intermittent staff, guides the Seattle Center Advisory Commission and partners with resident directors on issues affecting the campus, neighborhood representatives on Seattle Center issues affecting the surrounding areas and the greater community to engender broader engagement and a sense of stewardship in this remarkable place. Robert considers Seattle Center to be the heart and soul of our community. Encompassing 74 acres in the core of the Pacific Northwest region, Seattle Center is home to more than 30 resident organizations offering outstanding arts, cultural, family and sport activities. Over 5,000 events are presented on the grounds attracting 12 million visitors annually. Activities at Seattle Center generate $1.15 billion in business activities and $387 million in labor income. Robert lives happily in Seattle with his wife and has just sent off his daughter to college at Loyola University–New Orleans. ARCHON HENRY W. MCGEE, JR.
Archon Henry W. McGee, Jr of Alpha Omicron (Seattle) was awarded the Clyde Ferguson award by the Association of American Law Schools for “excellence in public service, teaching, scholarship and mentoring. Archon McGee is Professor of Law at Seattle University, and Professor Emeritus, University of California, Los Angeles (UCLA). Professor McGee was the first African American to teach at Ohio State University (1967), and one of two firsts at UCLA (1969). He was also the first tenured African American at Seattle University School of Law, a Jesuit institution. Professor McGee’s father, Henry W. McGee, became the first African American Postmaster of a major facility when he was appointed by President Lyndon Johnson. Postmaster McGee was an Archon of Beta Boule (Chicago), and later was a charter member of Gamma Alpha Boule (Tucson). Professor McGee teaches courses in Land Use Regulation; Environmental and International Environmental Law; Housing and Community Development; and Comparative Law. He graduated from Northwestern University’s Medill School of Journalism, DePaul University School of Law, and Columbia University where he received a Master of Laws. Licensed to practice law in Illinois in 1957, Professor McGee's career highlights include serving as a county prosecutor in Chicago, litigator in a Chicago law firm, civil rights attorney in Mississippi, and regional director of the U.S. Office of Economic Opportunity Legal Services Program where he participated in generating funding for government-aided legal assistance programs in the Midwest. At UCLA, Professor McGee served for three years as Director of the UCLA Center for Afro-American Studies, and as the director of the UCLA School of Law LL.M. program. 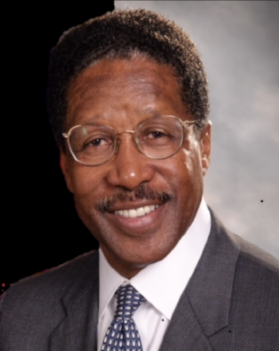 He won the Arthur Sutherland Public Service Award in 1990 at UCLA, and was honored by the Los Angeles City Council for accomplishments as a human rights advocate. A Fulbright Professor at the University of Madrid (Complutense) in 1982, Archon McGee won a second Fulbright to the university in 2002 as senior researcher and visiting professor. Additionally, Professor McGee has authored numerous articles in Spanish, as well as English, and is a co-author of Housing and Community Development (4th Ed. 2010, in press). He has also visited and taught at other universities in Europe, Latin America and South Africa. Currently, he is a Fellow of the Mexican Academy of Private International and Comparative Law. Professor McGee is also a violinist with the Seattle Philharmonic Orchestra. Ruby Jones is a highly passionate, and professional individual with the proven ability to engage and provide opportunities for individuals and small businesses to be successful on construction projects. In August 2017, Ruby retired from Turner Construction as their Community & Citizenship Compliance Director and started her consulting firm, Ruby Jones Consulting, specializing in diversity compliance. As a consultant, she continues to advocate for, and work with, underrepresented youth and small businesses. Tony Orange served as Executive Director of the Central Area Motivation Program from 2003 to 2007. Tony formerly worked for seven years as Executive Director of the Washington State Commission on African American Affairs and coordinated a stakeholder listening project for Region 4 Community Services Division Administrator of the State Department of Social and Health Services (DSHS). Prior to that, he served for a year as acting director of the Central Area Youth Association in Seattle and was staff assistant to the Seattle Human Rights Commission from 1988 to 1994. He was also executive director for the Coalition for Quality Integrated Education before landing a job as manager in the Equity and Compliance Department of the Seattle Public School District in 1977. Tony currently serves on the board of directors of Festival Sundiata, the Seattle-King County NAACP, the Susan G. Komen Breast Cancer Foundation, the Breakfast Group and the Seattle Affiliate of the National Black Child Development Institute. He is a member of the Washington State Minority and Justice Commission and the Loren Miller Bar Association Judicial Review Committee. Terrence Bedford was born in Albuquerque, New Mexico. He graduated from Eastern New Mexico University with Bachelor of Science degree in Communication and minor in Marketing. Terrence also earned an Associate in Risk Management from the Insurance Institute of America. Terrence has spent the 26 years working in the insurance industry. His career includes work with industry leaders including; Hartford Steam Boiler and Inspection; Chubb Insurance Group; and The Hartford and is now currently working for Thomas & Associates Insurance – a leader in providing protection to churches, schools, non-profit organizations and Senior Living Communities. Terrence has and continues to serve in a variety of volunteer roles such as: Deacon of Finance for the Woodinville Church of Christ; Vice President of Education – President - and VP of PR for Toastmasters club -Willows Voices. Terrence believes it is a great honor to serve on the Breakfast Group board of directors. Also, that it incredibly important for young men of color to be given a glimpse of various paths to success. Terrence wants to do his part to make sure that young men of color are encouraged and inspired to plan and execute their plan for success. Dean has been a member of the Breakfast Group since 1995, eventually becoming a member of the Education Committee. In 2017, he became Chair of the newly created Career Development Committee. He has retired after 40 plus years of employment in the private, public, academic and healthcare sectors; primarily in finance, accounting, and human resources. His experience in these areas enabled him to be well versed in issues that affect the financial success of businesses and in the areas of leadership and employee development. His academic background includes a Bachelor’s degree in Business Administration and an MBA with a concentration in Managerial and Organizational Leadership. He has also completed coursework for a doctorate in Public Administration. In addition, he has been selected for two national academic honor societies and has been certified as a Human Resources professional. Dean has been involved in many corporate and community-based volunteer opportunities, holding many positions from Treasurer to President. He has also taught at the Seattle University’s Graduate School of Public Service. George Northcroft has executive experience in business management & operations, economic development and public administration. In his professional career he has served in senior executive positions at the U.S. General Services Administration, Nordstrom, the State of Washington, King County and First Interstate Bank-Washington. In addition to the Breakfast Group he serves on the Advisory Board-University of Washington-Bothell; Board-Lenny Wilkens Foundation; Board- Seattle Theatre Group; Advisory Board- University of Washington-Consulting & Business Development Center.